Rev. Dennis preaches to William Preble, Ann O'Brien and Dub Brock's arm. This folk art environment in Vicksburg, Mississippi, is known as Margaret's Grocery and Market. It was built by Reverend H. D. Dennis. 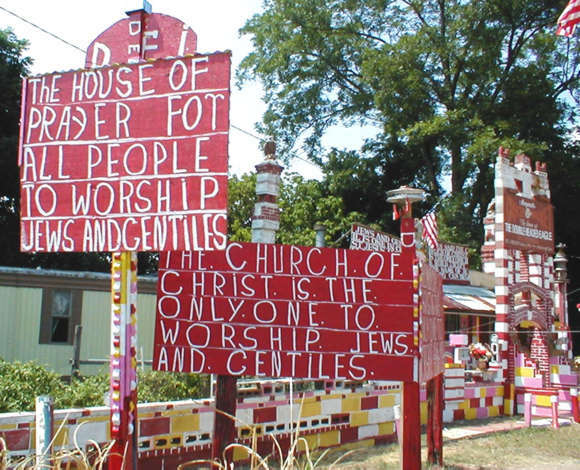 Visitors are welcomed to see the folk art decorations created by Rev. Dennis. Found objects were used to create this art environment. When we visited Rev. 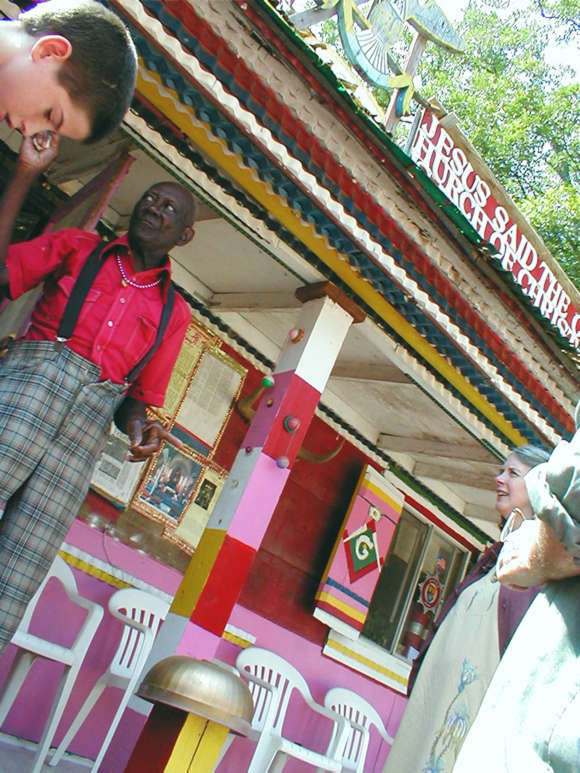 Dennis, on July 6, 2001, the most commonly used colors on the exterior of this folk art environment were red, white, and pink. While you are in Vicksburg, be sure to visit the Attic Gallery -- the owners are very knowledgeable about the local folk artist scene. Photos taken July 6, 2001.